Long-running Columbus, OH hip-hop vet Blueprint cut his teeth as the rapper alongside RJD2's timeless production in the long-gone Soul Position group. Now that RJ has moved on to his weird indie pop territory, Blueprint decided to roll up his sleeves and produce the entirety of his next album. 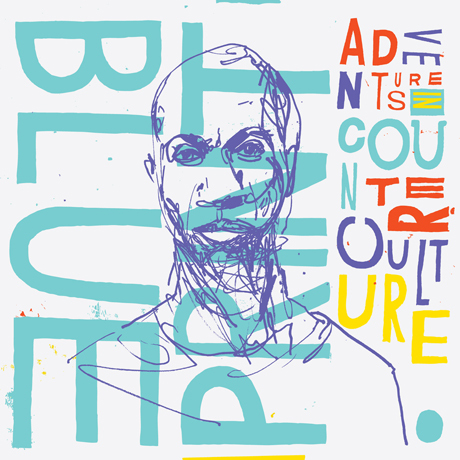 The resulting effort is Adventures in Counter-Culture, a highly experimental and forward-thinking album that, as a press release explains, "is a challenge to Blueprint's audience and himself, prodding the listener to dissect their perception of why hip-hop is what it is and what it will look like in the future. It's also a studious examination of what makes Blueprint tick, his reaction to the information and pop-cultural influence, both musically and ideologically, that bombard each of us every day." Lead single "Radio-Inactive" can be streamed below along with its music video, and as promised, it's a much different Blueprint than the one fans got to know in the early 2000s. Musically, the song is experimental, driven by a slowed-down synth and electric guitar while Blueprint drops some of his most introspective lyrics yet. The video also features an appearance from Eyedea, who passed away in October. Adventures in Counter-Culture will be released on March 1 via Rhymesayers. 2. "Go Hard or Go Home (Printnificence)"
5. "Wanna Be Like You"